1. First check to make sure your Account Time is set to your local timezone, this will also help with other event times showing up properly for you! 2. Now that we're sure that we have the right timezone, we're going to go to the event page. 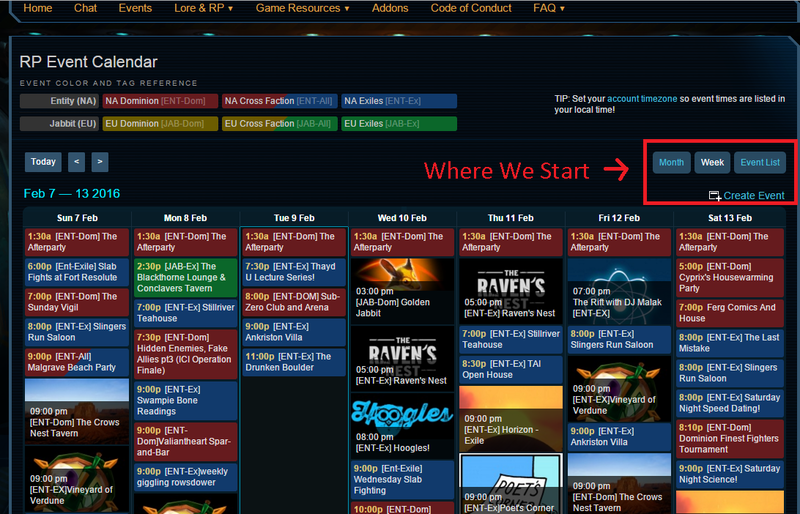 On the top right is where we can choose how we want to view the calendar as well as the 'Create Event' button. Click it to begin the next step. The first thing we want to change is the Event Name. Make sure it includes the appropriate tags in the title as well as the tags in the drop down to the right of it to help with people finding things for their server/faction! Next down is optional, where if you want you can add an image to show up in certain views of the calendar. For the Description make sure to add where it is in addition to the usual stuff! 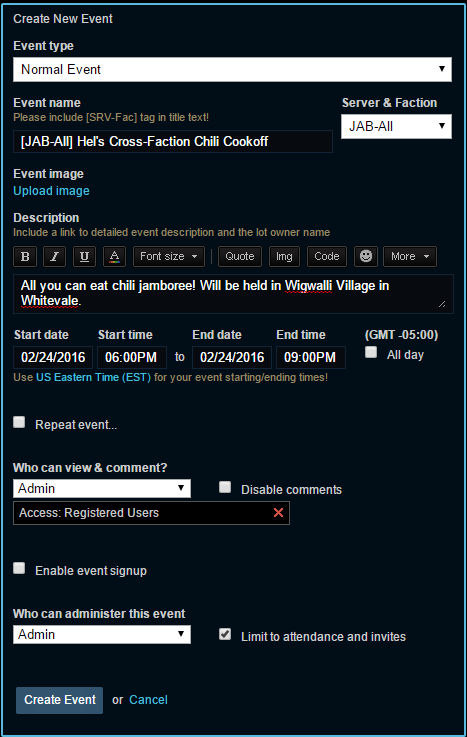 Its often helpful to include a link to more information if you have a nice post up for it in the event forum! Time will default to the day you're on usually, so you'll want to check/adjust both the day and hour to be accurate! 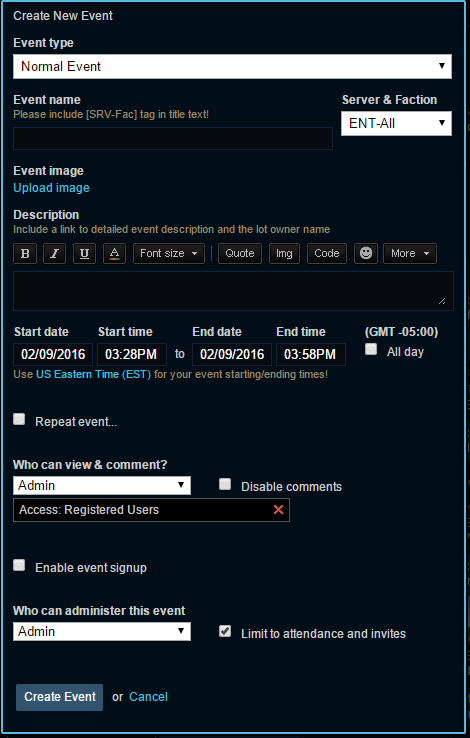 Events can be repeated at different intervals if it becomes a regularly scheduled one, which is where you would then want to check the Repeat Event box to get some additional options. The last two dropdowns and check boxes you don't need to mess with at all, they default to the proper settings. "That Mohawk Mechari who advertises things."